Doctors say the infection did not spread to his brain but was along the lining of his skull, causing the neurological symptoms. 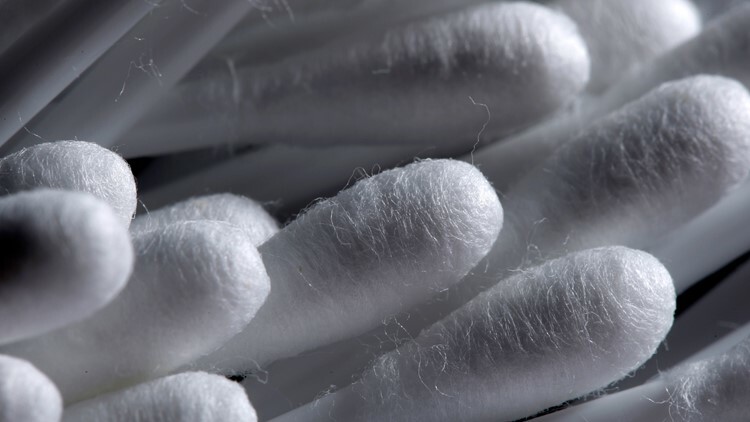 ENGLAND, UK — Many people continue not to heed the warning label on the cotton swab packages that tell consumers not to stick the swabs in their ears. The outside of the Q-Tips package warns consumers about inserting the swab into the ear canal, stating that insertion could cause injury. After a man in England developed a potentially life-threatening infection in his ear canal that spread to his skull, it may make you think twice. The seemingly healthy 31-year-old man was diagnosed with necrotizing otitis externa, a soft-tissue infection that spread to his surrounding bone and skull, according to BMJ Journals, or the British Medical Journals. He was rushed to the emergency room after he started having a seizure and collapsed, Live Science reports. Doctors discovered abscesses and a cotton bud that was left in his ear canal. The man had apparently started having medical issues prior to having the seizure and reported having headaches along with hearing loss and pain in his left ear over the past five years. The dangers of cotton swabs are nothing new to doctors. Live Science reports that between 1990 and 2010, around 263,000 children had been treated in the hospital for ear injuries due to cotton tip applicators. While he says the skull infection case is pretty extreme, Dr. Keith Basler with the Florida E.N.T. & Allergy says ear infections relating to cotton swabs are a common issue he treats. "Almost on a daily basis, we will see one person with an infection of the outer ear due to Q-Tip trauma," Basler said. "Q-Tip injuries in the ear canal and mild infections are pretty common." Other patient issues he's dealt with include a patient on blood thinners scratching their ear and other patients rupturing their eardrums with a cotton swab. Basler routinely warns patients to avoid using Q-Tips, cotton swabs, or any other foreign object inside the ear canals. Foreign objects he's had to remove include beads, bugs and parts of hearing aids. He's seen injuries from people using other foreign objects to scratch the inside of their ears, including pencils, pens, bobby pins, and even the back of an earring. "I recovered the back of an earring from a girl's ear canal, and she told me it had been missing for over a year," Basler said. Overall, Basler says ear wax is healthy for the ear and has anti-bacterial properties. "The ears will clean themselves. Some patients will accumulate wax that causes obstructions, which can be dealt with," he added. "Ear wax should only be removed if it causes disruption of hearing, hearing loss, or discomfort." Instead of cotton swabs, Basler recommends earwax drops that can help break up the wax. He also had a few home remedies, including a drop or two of olive or mineral oil or hydrogen peroxide, which he says are all things a physician would recommend. If the home remedies don't work, he says patients may need professional cleaning either done by an ear, nose, and throat doctor, or a primary doctor.